I am loving the print of this dress from Urban Attic Boutique. You really can't go wrong with black and white! It is a classic color combination. I like to add a pop of color when I wear black and white like I did here. This dress would also be great with red or turquoise. 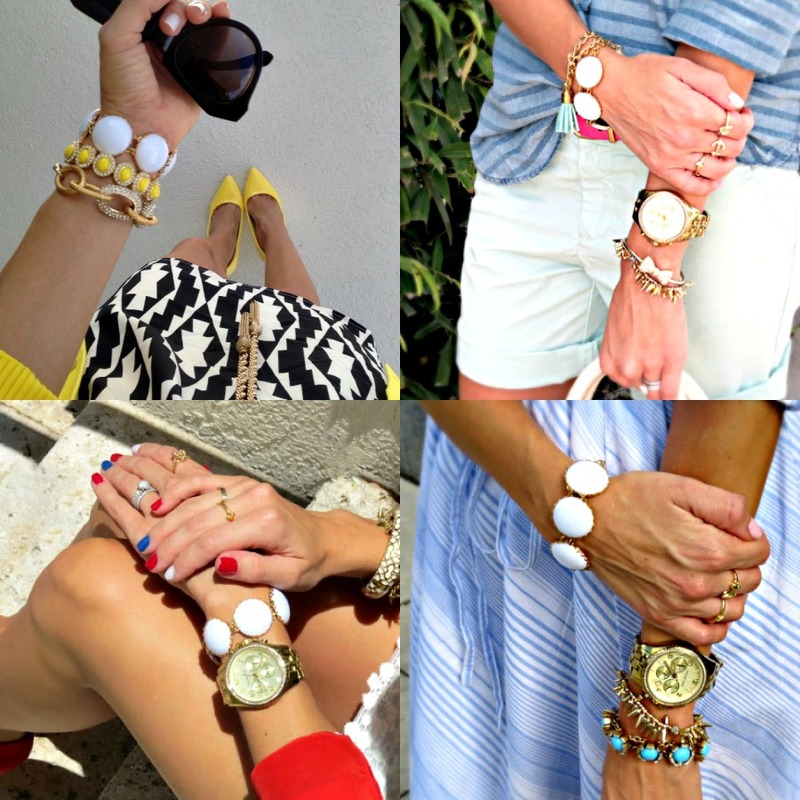 Scroll down to enter the Tryst Jewellery giveaway. I just bought a similar dress. I just need neon accessories to spice it up! Gorgeous dress! I love the yellow you put with it. You look so gorgeous! I love the touches of yellow! You look gorg! Love the pop of yellow- makes this so fun! What a fun print on that dress! Love how you brought the yellow in with your shoes! I love this outfit! The black and white print dress with the yellow cardigan and heels... Perfection! The yellow is so bright and pretty, but elegant with the black and white attire. The bracelets are my favorite! I love the pops of yellow with this black and white dress, so pretty. And That bracelet is so cute! This dress is so much fun Jade and I LOVE the pops of yellow in your outfit! I love the neon cardigan and heels with the black and white dress! Beautiful! Love the pop of yellow with that dress!! Gosh girl, you're gorgeous! 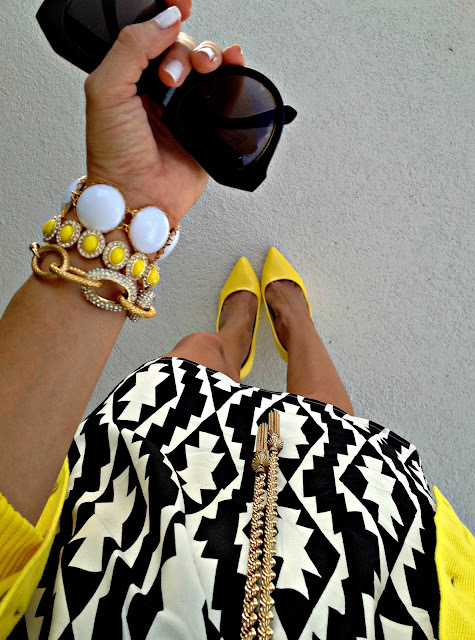 Love the geo print and pop of yellow. Loving this geometric dress on you with the neon!